Ricotta, Queso, Mozzarella, Oh My! 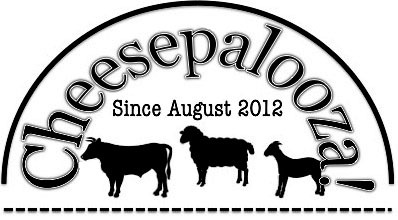 – 2nd Cheese Making Class! As you may or may not know, I have started to teach a class called “Introduction to Artisan Cheese Making” for Metro Continuing Education here in Edmonton, as part of the Adult Continuing Education section. Yesterday was the second of four classes that have been scheduled for the spring session. I had the pleasure of welcoming 11 new people to the ranks of Home Cheese Makers. It is a six-hour class and we covered the basics of cheese making. We started with a hands-on Whole Milk Ricotta, then I demonstrated how to make a Queso Fresco, including how to press a cheese in the cheesecloth; and we finished with a hands on Mozzarella make. 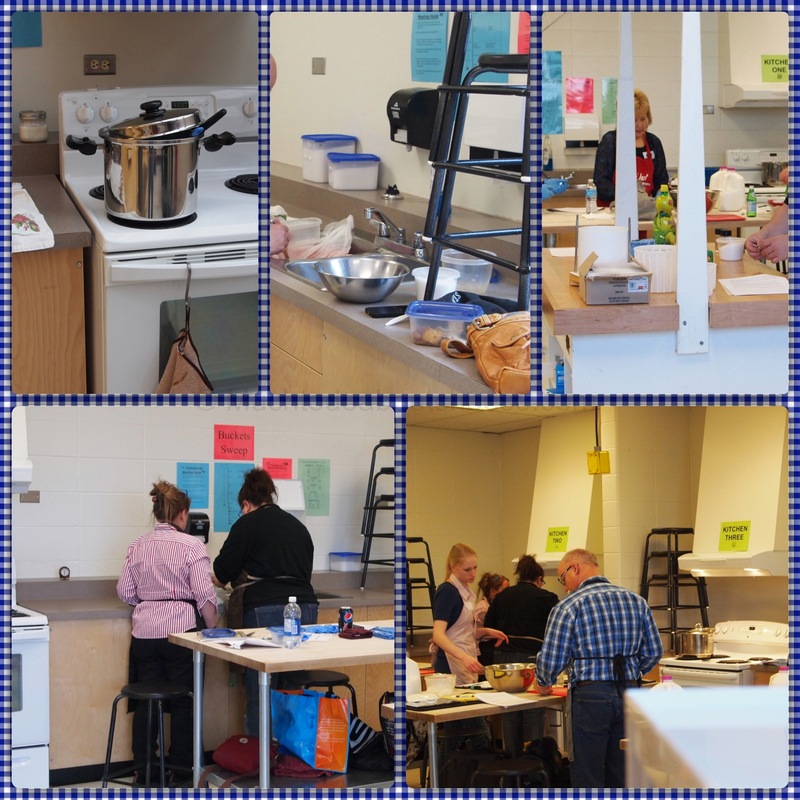 It was a fun day with the students taking home lots of cheese. I provided samples of the Queso Fresco and shared some of my 4 month old YEGmental. 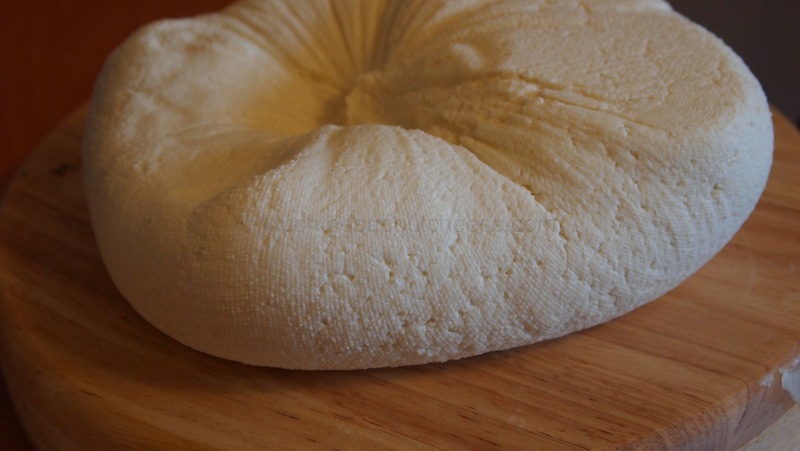 Here is yesterday’s Queso Fresco after pressing. 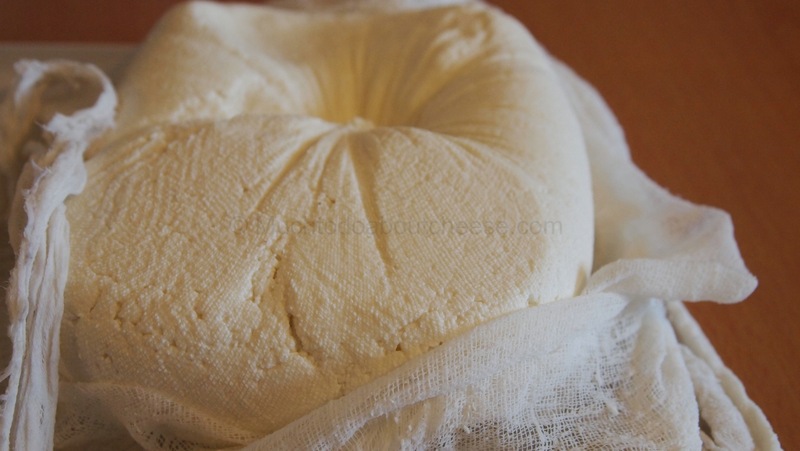 The Queso Fresco’s shape is due to the knot in the cheesecloth. As I said I still have two more classes scheduled for this spring, but there will me more offered by Metro Continuing Education in the fall. Until next time….